Driving down Ball Drive is always a treat especially during the spring and summer months. 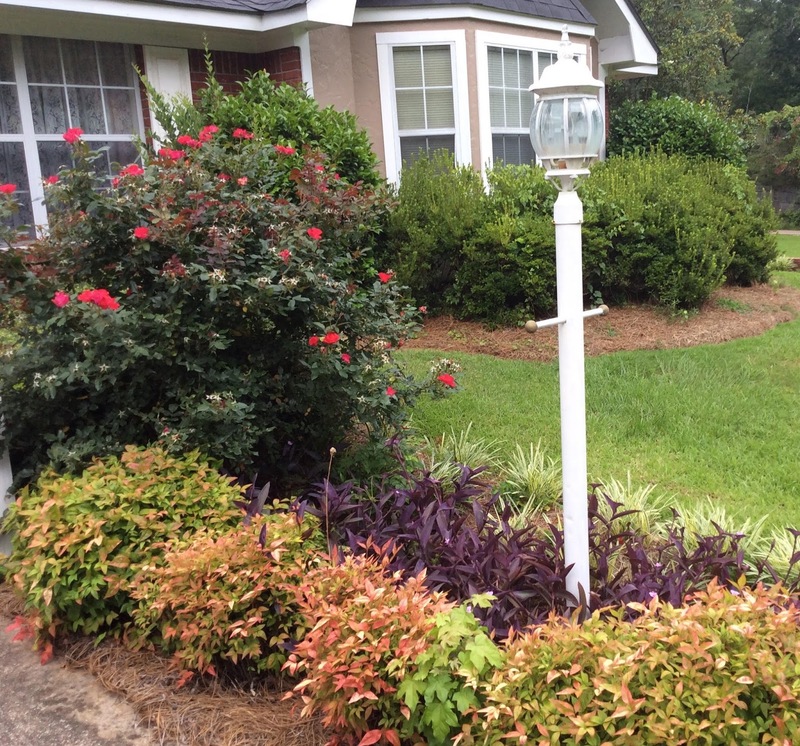 Every yard is well kept and beautifully landscaped. 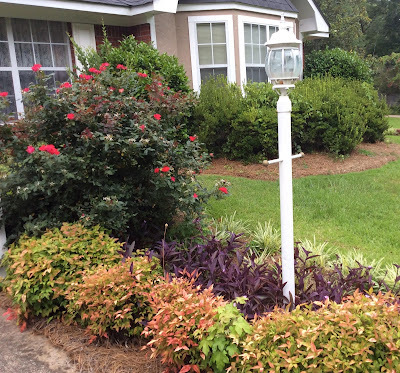 The Yard of the Month for July is located at 364 Ball Drive and belongs to Dr. Yvonne McNeill. She taught school for forty-five years and gardening was her "therapy" after work. Her favorite flower is "the one that's blooming now." Dr. McNeill became interested in gardening through her mother who grew mostly canna lily’s and Shasta daisies at the old home place. The unusual, umbrella shaped trees flanking the driveway are weeping mulberry trees. Several daylilies’ fill out the driveway plantings. A white lamppost illuminates the parking area and plantings of dwarf nandina, cone flowers and Knock Out roses lead to the front steps. Raised beds in the front of the house contain huge camellias and neatly trimmed hedges. Camellias also flank the large bay window to the right of the front door along with corner plantings of hydrangea and loropetalum. A white picket fence along the back of the property anchors a flower bed that is a profusion of color containing canna lily’s, daylily’s, Asiatic lily’s, lantana, purple cone flowers, Knock Out roses, clover, phlox, camellias and Stokes Aster. 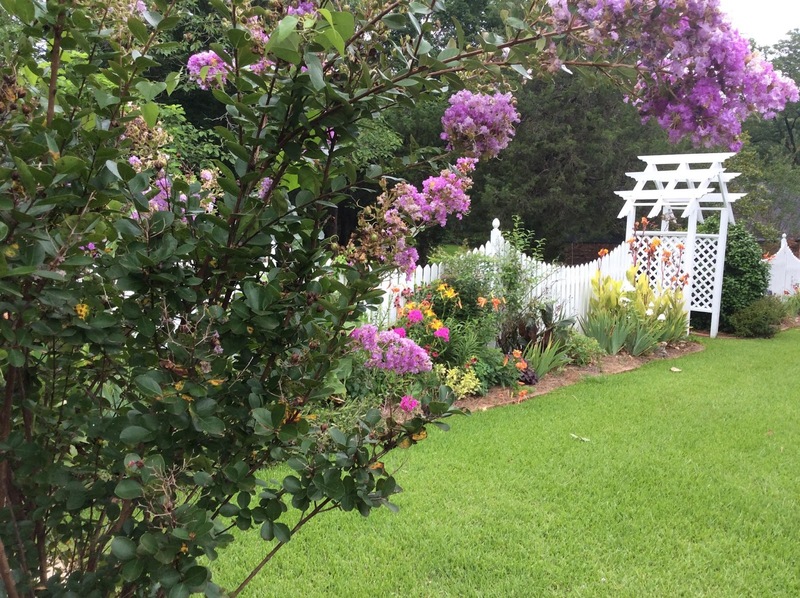 A welcoming patio with a sitting area behind the house is shaded by three big crepe myrtles. Several pots add color and interest to this area. The various pots are planted with caladium, ivy, coleus and impatiens. Marigolds, orange Asiatic lily’s and petunias are growing in the sunny parts of the patio. All are welcome to come visit this garden and enjoy the color and variety found there. 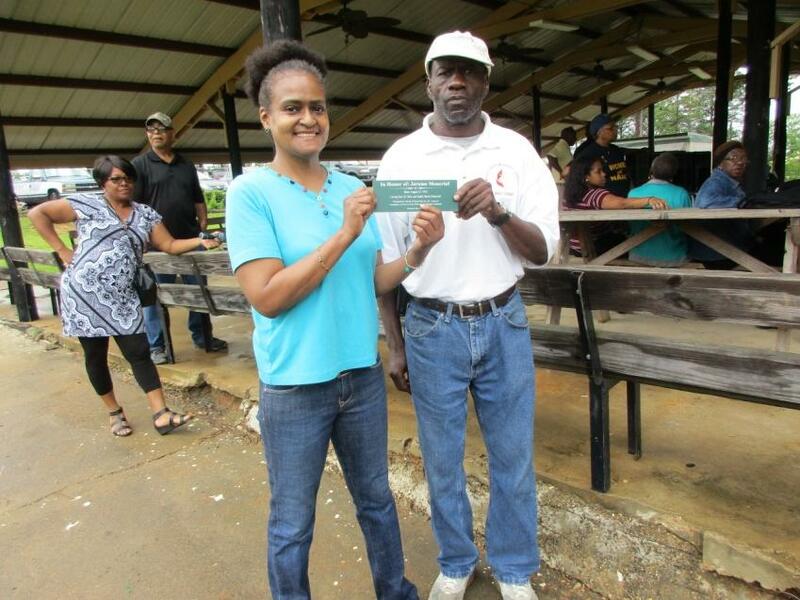 Friends of Dean Park, Inc. (FODP) honored Jerome Moncrief at the Juneteenth Day Festival, June 3, 2017. He was presented a plaque to be placed on a garden bench in Dean Park for his exemplary service at Dean Park as a Garden and Landscape Assistant since 2009. Friends of Dean Park, Inc. has been in partnership with the Senior Community Service Employment Program (SCSEP) as a Host Agency since 2009 with 2 slots for trainees. To qualify for SCSEP, the participants must be unemployed, 55 years or older with family income not to exceed 125% of the federal poverty income guidelines. These are part-time temporary community service assignments purposed to provide meaningful training through work experience and job skills that can lead to unsubsidized employment. FODP’s first contract as Host Agency was with the Institute for Indian Development, Choctaw, MS. Jerome Moncrief and Walter Boyd were our first trainees in 2009. FODP’s present contract started with The National Caucus and Center on Black Aging, Inc., (NCBA) Cleveland, MS on February 1, 2017 with trainees Jerome Moncrief, Florence Thompson and Mark Collins. After several meetings with Paul Eichelberger, Job Counselor and Louise Shavers, Job Developer for NCBA, the Friends of Dean Park, Inc. proposed to the Board of Supervisors and the Dean Park Commission that Jerome Moncrief be hired as a part-time employee by the county. President Richard Moncrief and Vice President Elmetra Patterson met with the Dean Park Commission on Wednesday, June 21, 2017 to be informed that Jerome Moncrief is hired by the county and will start his employment on Monday, June 26, 2017. Jerome Moncrief, FODP, NCBA are grateful to the Winston County Supervisors: Luke Parkes, Larry Duran, Burr Warner, Ralph Goss and Marion Jordan; Dean Park Commissioners: Paul Coburn, John Edwards, Carolyn Hampton., Annie Hudson and Willie Holman for a successfully end to this story. In the picture from left to right: Brooklyn Bealis, Kaylee Goss, NaKhia Hickman, Kaylen Goss, Sterling Chambers and Megan Lampley. Work on something they like and in which they have an interest. Gain new knowledge and learn about a specific subject. Learn to plan and organize their thoughts so they can express themselves more clearly. Emphasize the major points of a presentation through the use of visuals or examples. Develop good judgment, speech and actions before an audience. Teach and show others improved methods and practices learned through 4-H, thus performing a service to the community. Brooklyn Bealis (Noxapater Attendance Center) competed in the Family and Consumer Sciences category with her Interior Design I, Monochromatic Color Scheme board and placed 2nd. Kaylen Goss (Louisville Public School) also competed in the Family and Consumer Sciences category with her Food and Nutrition project and came home with a blue ribbon. Kaylee Goss (Louisville Public School) chose the Personal Development and Leadership category and discussed Health. She did a super job placing 2nd. Sterling Chambers (Grace Christian School), NaKhia Hickman (Louisville Public School) and Megan Lampley (Noxapater Attendance Center) all did a Cloverleaf Exhibit where they present and/or demonstrate a project or parts of a project they have worked on. NaKhia presented a Complementary Color Scheme board and materials used for her Interior Design project. Sterling chose to present the parts of a sewing machine for her project. She has been learning to sew in 4-H and has made a bag and a skirt. Megan has also been learning to sew in 4-H and the title for her exhibit was “4-H is Sew Awesome”. Megan presented her exhibit on her experience from the start of her first project, which was a bag, to the end. All of these young people have done a super job learning and working on their projects! Congratulations!! If you know a young person who would like to learn a new skill or expand on an interest they have, please consider joining 4-H. There is something for everyone! Call your local Extension office at 662-773-3091 and talk to Tracy Gregory or Sandra Jackson. Congratulations To The Winston County 4-H Cook-Off Team! Congratulations to the Winston County Mississippi 4-H Cook-Off team!! 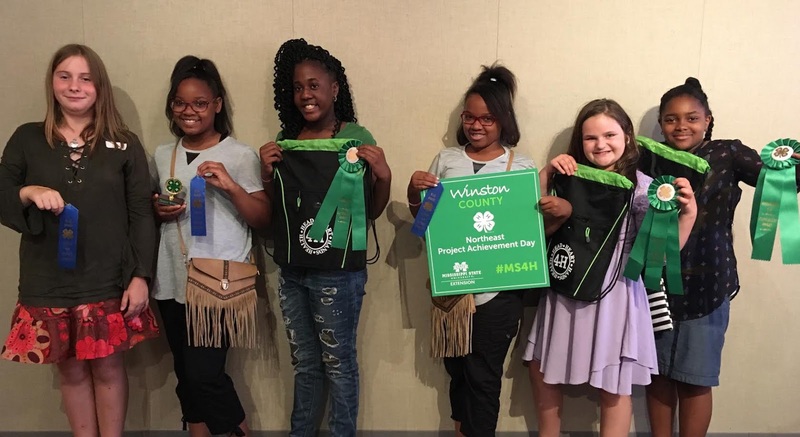 Winston County was well represented as Kirianna McCune, Tyus Frazier and Tabitha Patie competed in the new competition at State 4-H Club Congress held on campus at Mississippi State University May 31-June 2, 2017. 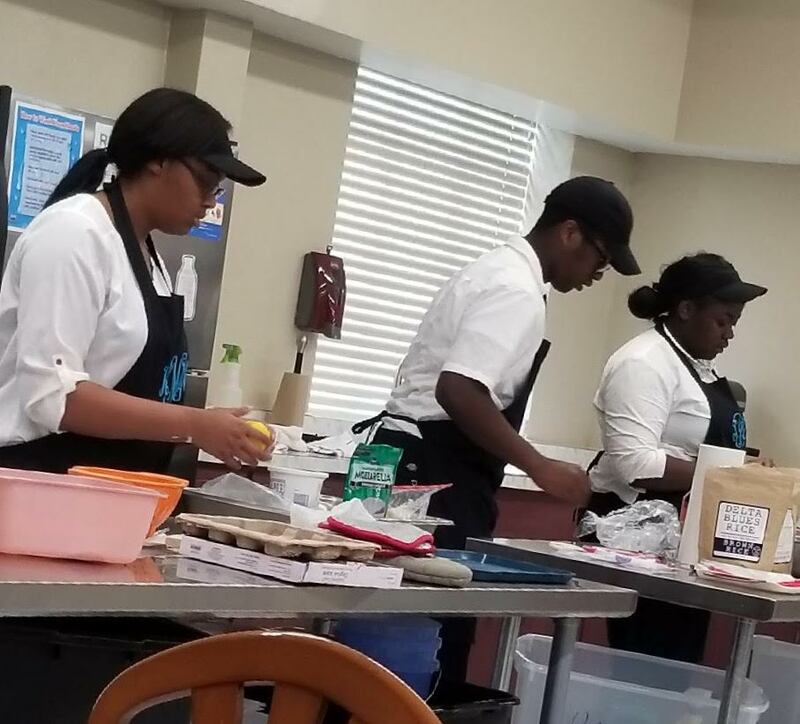 They placed 3rd out of 5 teams from all other the state with their Spinach-Artichoke Chicken on a bed of Brown Rice with Roasted Broccoli and Radishes and a Blueberry Lemon Cream Delight dessert. 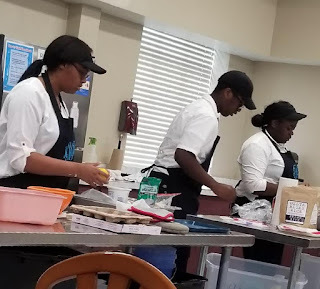 The Mississippi 4-H Cook-Off is a food preparation contest with all menus to be prepared on site and within a 1-hour time limit, including preparation and clean-up of the station. This project is designed to help youth make wise choices in the selection and preparation of the foods that they eat. Members enrolled in this project will learn the importance of including a variety of foods using MyPlate, the 2015 Dietary Guidelines for Americans and other sources of nutrition and food safety information. They will also gain an understanding of where the foods they use are grown locally, regionally and nationally. Again, congratulations to these youth! Blue ribbons all around! If you are interested in food and nutrition projects, such as this, or have any other interest, 4-H has a place for you! Call your local Winston County Extension office and speak with Tracy Gregory or Sandra Jackson at 773-3091 for more information. support during the last twelve years. I have done the best I could for the City of Louisville. God Bless each of us as we move forward. 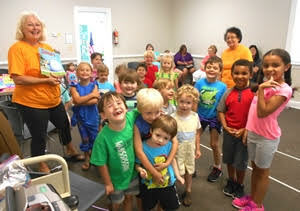 Prize Day for the Tiny Tots Summer Library Program at the Winston County Library. Children and adults enjoyed story time, music, games and the Forest Friends Animal Workshop, where children got to build a forest animal (moose, raccoon, owl or a fox) and take it home with them. 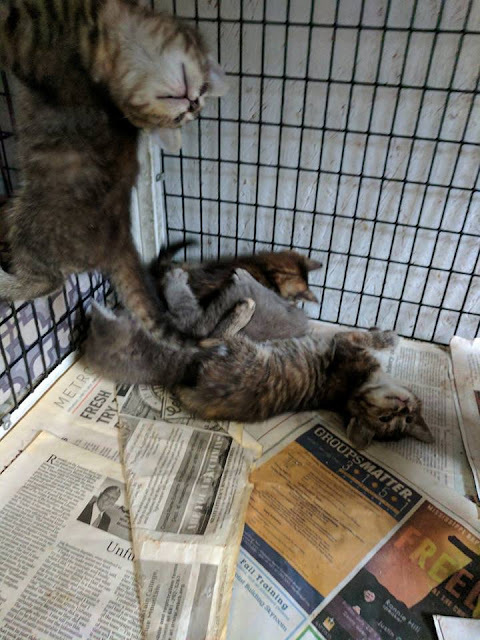 Louisville Animal Shelter located on 110 Thompson St.
shelter, please call the shelter at 662-773-3420. All of these babies need a good home. 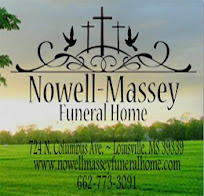 The Louisville Lions Club would like to take the opportunity to thank the businesses and individuals listed below who sponsor our American Flag Program. The flag program is enjoyed by local citizens and those visiting our city on 10 specific holidays (weather permitting). A sponsorship is only $25 per year. The cost is less than purchasing and installing your own flag. A Lions member posts the flags on the morning of each specific holiday and picks up the flags at the end of the day. The funds collected from these sponsorships are used to purchase eyeglasses, hearing aids and other services for those who are less fortunate in or around the Louisville area. Our most impressive flag display is on Main Street. For the last several years the Louisville Lions have put out 42 flags on Main. However, beginning July 1, 2017 we will no longer be able to display all 42 flags on Main, only the flags that are sponsored. Out of the 42 flags, only 18 are sponsored by Main Street businesses and 5 are sponsored by individuals. 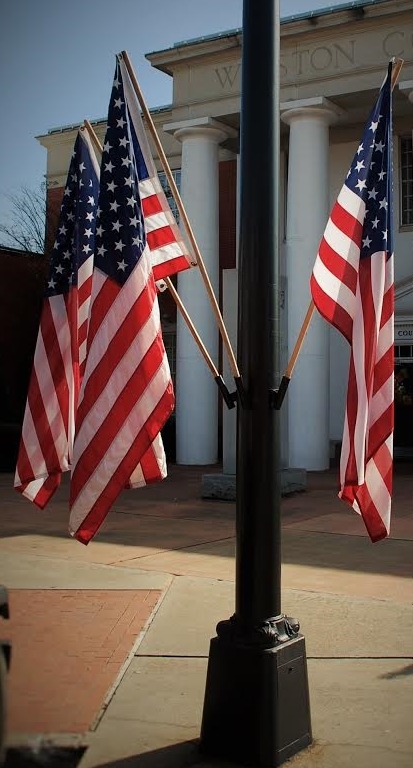 With the help of the Chamber/Partnership and State Farm, who sponsor a flag at their place of business and have donated extra funds to help with Main Street sponsorships this year, our total flags on Main is now at 25, leaving 17 flags still unsponsored. All sponsored flags holders on Main Street have a white label attached indicating the business or individual sponsoring. When you visit these businesses or see these individuals please thank them for their support of our community and their patriotism. If you know of a business on Main Street that does not sponsor a flag, please encourage them to do so. 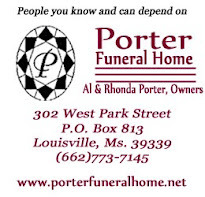 If you are a Louisville business or individual that would be interested in sponsoring a flag on Main Street or at your own business, please contact Tracy McCully, Louisville Lions Club Secretary at 662-705-1084, Benny Edwards, Flag Chairman at 662-736-1255 or any Lions Club member. 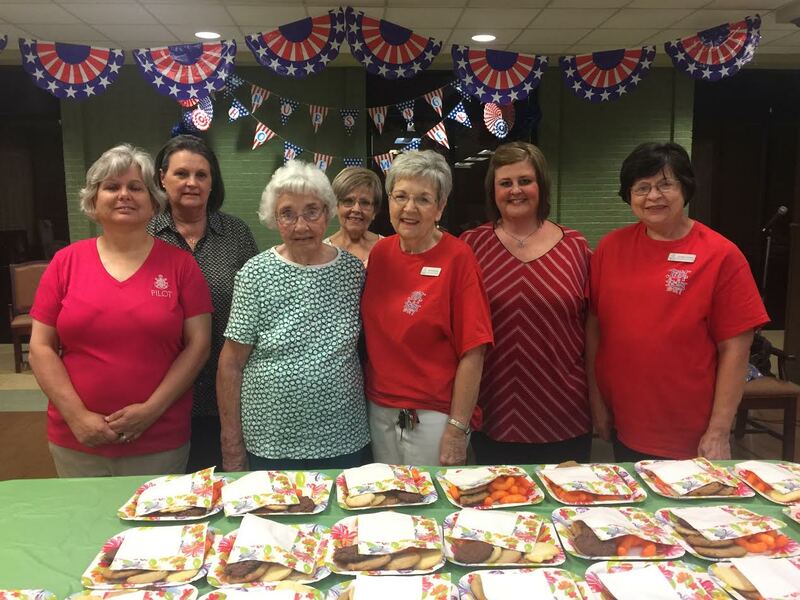 Winston County Knows How to Celebrate the 4th of July! Then on Monday, July 3rd, the Annual Red, White and Blue Parade will hit the streets of Louisville. Children under the age of twelve are invited to decorate their “non-motorized rides” in red/white/blue and participate in the parade – Trikes, bikes and wagons are welcome. The kids are encouraged to bring a veteran to join them in the parade. Line up begins of South Court Street next to the Courthouse beginning around 6:00 pm. The parade starts at 6:30. Finally, on that same evening Monday., July 3rd, a fireworks display will take place at Lake Tiak O’Khata. The public is welcome. The Lake will also have a buffet and a full menu. Mark Goldbeck will be providing entertainment to the crowd at the pavilion under the fireworks begin. The July 4th holiday is a great time to show your support for not only your country but also your community. Come out – participate, enjoy and support those local businesses and organizations that help provide these events. The City of Louisville, Mississippi (“City”), on behalf of the coalition of Winston County, Noxapater, and Louisville hereby solicits written Statements of Qualifications (SOQ) from professional environmental consulting firms interested in contracting with the City to perform grant management activities, environmental assessments, site re-use planning, and related activities associated with the recently EPA-awarded Brownfield Community-wide Assessment Grant. This is Federal Brownfield funding and will require adherence to the conditions required for its use. The firm selected will be eligible to negotiate a contract with the City. 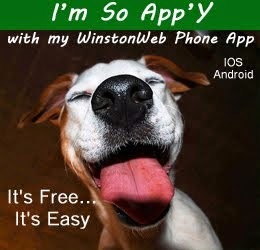 No minimum order or work is guaranteed. If the selected firm is unsuccessful in negotiating a contract or does not maintain the minimum requirements, the City, at its discretion, may select the next ranked firm for contract negotiation. All work will be ordered on an "as-needed" basis. Though the federal Brownfield Grant funding is for a three-year period, the selected firm will be eligible for contract negotiation for five (5) years with optional years at the City’s discretion. It's A Great Year To Be A LIon! This year marks the 100th anniversary of the founding of Lions Clubs International. There are 1.4 million members across the world. 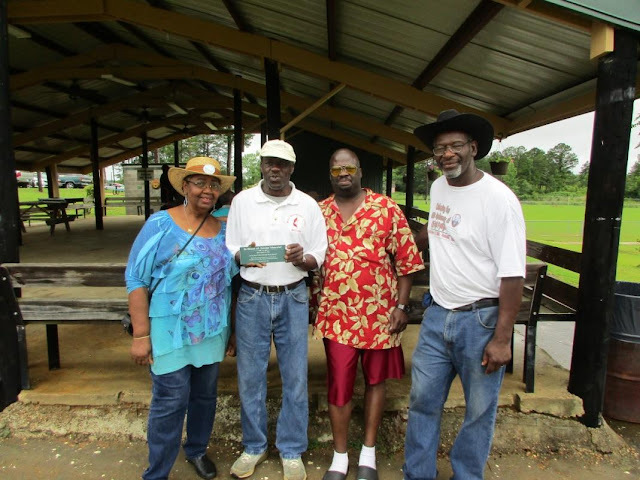 Lions clubs are very active across the state of Mississippi. The Louisville Lions Club has been active for 67 of those 100 years. The State Lions Convention was recently held in Louisville. (l-r) Judy Post (Beat 3 – Marion Jordan); Rhonda Porter (Beat 1 – Burr Warner); Sarah Garrigues (Beat 2 – Luke Parkes); Mid-Mississippi Regional Library System Executive Director Richard Greene; MMRLS Secretary Wanda Nash; Clementine Eichelberger (Beat 4 – Ralph Goss); and James Woodiel (Beat 5 - Larry Duran). 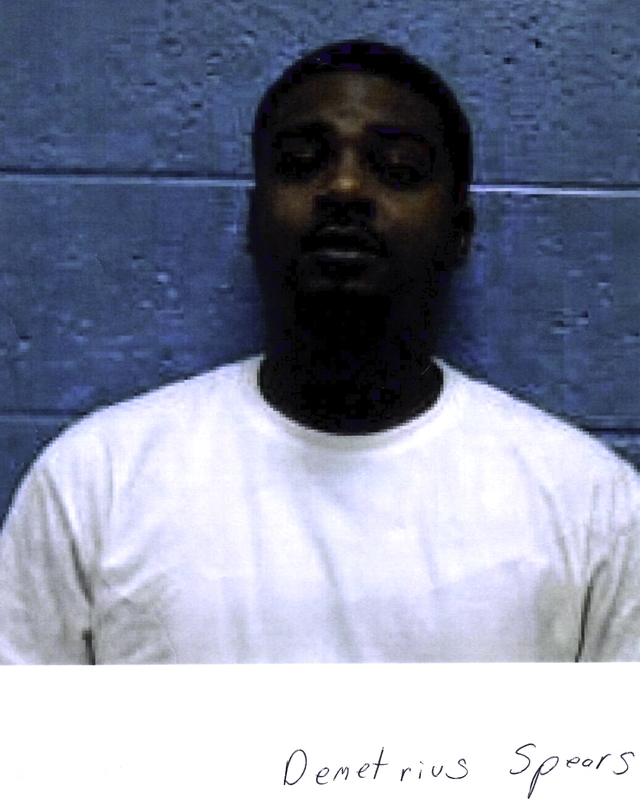 The Winston County's Sheriff's Department has made another drug arrest. This afternoon, (Thursday, 6/22/17) while searching for a suspect in another case, deputies observed that suspect flee from a vehicle on foot. The vehicle attempted to flee the scene as well. 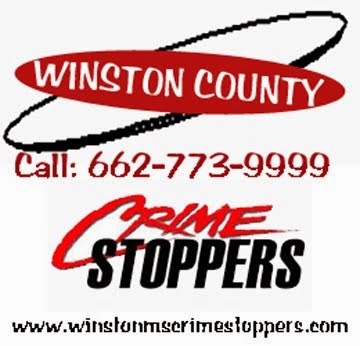 An orange Pontiac Grand Prix was pursued and stopped on Hudson Avenue. 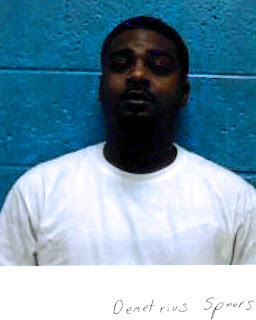 According to law enforcement, the suspect, Demetrius Spears, attempted to flee on foot but was captured. Twenty eight year old Spears faces a number of charges related to his flight from the scene as well as felony charges for the possession of methamphetamines within 1500 feet of a church with the intent to sell. 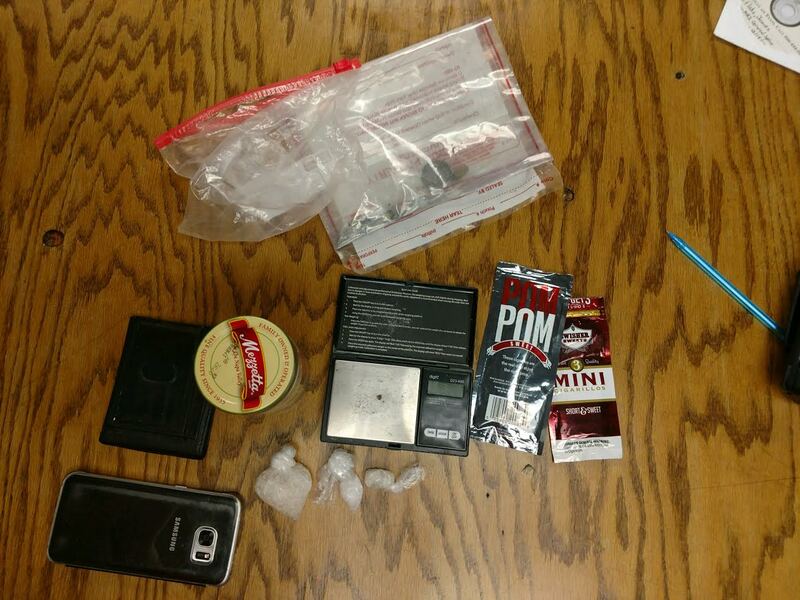 Deputies report that nearly an ounce of meth, a quantity of marijuana and drug scales were found in the vehicle. Law enforcement records indicate that Spears was out on bond on a similar charge at the time of today's arrest. Retirement was the theme during Tuesday's (6/20/17) Board of Aldermen Meeting in Louisville. Mike Towne was recognized for his years of service to the Louisville Fire Department. Towne has served as a full time firefighter since 1999 and on a volunteer basis prior to that time. This meeting was also the last for Ward One Alderman Dickie Caperton who did not seek reelection. Caperton has served on the Board for 12 years. 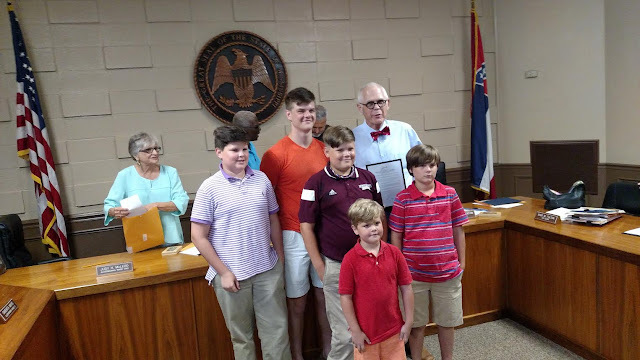 It was an emotional time as Caperton reminisced and said farewells to many including fellow board members, department heads and Mayor Hill. Caperton noted that he had never missed a meeting during his time in office and that he took pride in that accomplishment. "I love this city. No one loves this community more than I do." Fireman Mike Towne with spouse and city officials upon his retirement. These following pictures were taken on Monday, June 19, 2017 at the Tiny Tots Summer Library Program, presented by Diana Northcutt. 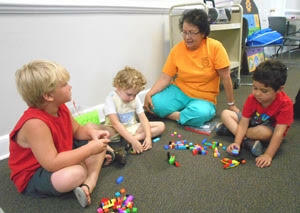 Diana Northcutt (standing, left) and volunteer Jennie Morel finish up storytime and music time. Library volunteer Jennie Morel helps with the Lego station. Everyone’s having fun with the building block station. arts and crafts – building a house on paper! Tiny Tots Award Day is Monday, June 26 from 9:30 – 10:30 at the Winston County Library! The Louisville Lions Club would like to take this opportunity to give a great big heartfelt Thank You to everyone who donated items, sponsored teams or gave of their time to help make our Annual Golf Tournament Fundraiser a roaring success. We couldn’t do this without the help of people like you and the support of our community! You are all such a blessing to us. We would also like to thank EMEPA, Magnolia Distributing, Mark Taylor, Richard Watson for all their help, and also all the participants of the golf tournament for their continued support. Thank you all again. We would also like to Thank Earl Frost-Frost Steele, Elm Lake Golf Course, Joe Andy, 4 Square Auction. Bettie Glass, Dot McCorkle, Brandi Krajewski, Gloria Joiner and Kristen Knox. The Pilot Club of Louisville hosted its annual party at Winston Medical Center-Senior Care Services on Tuesday, June 20, 2017. Pilots baked an array of cookies for refreshments and Jimmy Woodward provided the entertainment. 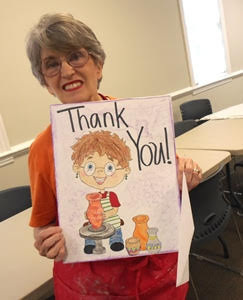 Winston County Library’s Teen Program this week was presented by local ceramist Susan Clark. The teens enjoyed painting and decorating clay parrots, trees, football players, flowers and other objects, which they got to take home with them. Susan was presented with a thank you card, signed by all the participants and drawn by library staffer, Denise Dickerson. Thanks to Polo Custom M-C Industries for sponsoring this teen program. 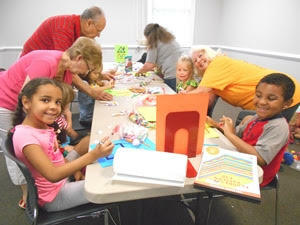 First through fifth graders enjoyed the Winston County Library Summer Reading Program this past Tuesday. Magician Todd Smith wowed the crowd with magic, juggling, getting out of a straight-jacket, making a real live rabbit appear out of thin air, and even having a skunk do tricks with the crowd! Thank you to Bennett’s Do-It Center for sponsoring this program for the library! The product comes in a 12 oz., clear plastic package marked with expiration dates of: Dec. 09, 2017, Mar. 02, 2018, Mar. 03, 2018, or Apr. 07, 2018 stamped on the side. Product was distributed between 12/9/2016 to 6/13/2017. Kroger has removed the following item from store shelves and initiated its customer recall notification system that alerts customers who may have purchased recalled products through register receipt tape messages and phone calls. 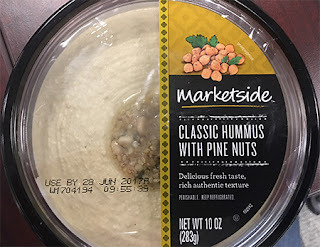 Kroger has expanded this recall to include all stores nationwide under the following names: Kroger, Ralphs, Food 4 Less, Foods Co., Fred Meyer, Fry's, King Soopers, City Market, Smith's, Dillons, Baker's, Gerbes, Jay C, Ruler Foods, Pay Less, Pick ‘N Save, Copps, Metro Market, Owen's and QFC. Bulletproof 360, Inc. (“Bulletproof”) of Bellevue, Washington is recalling five Collagen Protein Bar and Bite products because they have the potential to be contaminated with Listeria monocytogenes, an organism which can cause serious and sometimes fatal infections in young children, frail or elderly people and others with weakened immune systems. Although healthy individuals may suffer only short-term symptoms such as high fever, severe headache, stiffness, nausea, abdominal pain and diarrhea, listeria infection can cause miscarriages and stillbirths among pregnant women. “We’re so proud of this honor and can’t thank our employees and community enough. Over the past three years, Winston Medical Center has been through circumstances that most hospitals and employees never have to endure,” said Paul Black, Winston Medical Center CEO. “During the rebuilding effort, Winston Medical Center continued to provide outstanding patient care, while keeping almost all services. We are excited to receive this award and look forward to our future.” A congratulatory video was created to recognize all of the staff at the hospital for their hard work. A community celebration is tentatively planned for July 21, 2017. Details will be provided closer to the event. 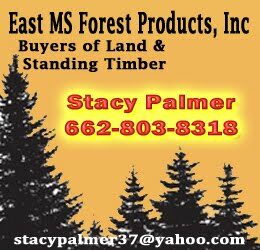 Delays in paper work and legal requirements for the settling of the tax status of the Winston Plywood facility in Louisville could create some issues for Winston County in the completion of the tax roll by the required date of July 5. The company has filed for a ten-year tax-exempt status on the facility, equipment and inventory. This type of exemption is typical for new industry and the added economic boost they often bring to a community. The exemption would only apply to the county and city. The school district, LMSD, would receive its full tax dollars under this status. The amount is yet to be determined due to unknown appraised value. However, the company has recently filed and completed paperwork to qualify for a “Fee in Lieu of Taxes" status which is determined by the Mississippi Development Authority (MDA). To qualify for Fee in Lieu, there must be $100 million of private investment. Under this arrangement, tax dollars paid to the school district could be reduced by as much as two thirds but the county and city would share in the funds. 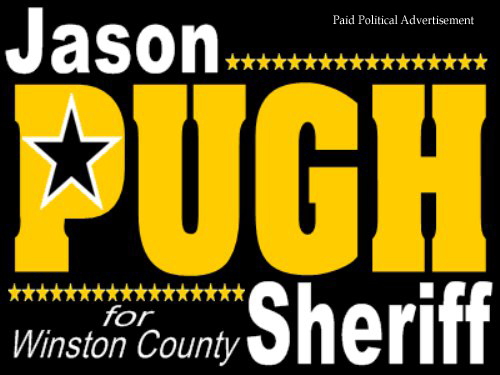 In effect, the company would reduce their tax burden but Winston County and the City of Louisville would receive significant revenue that they could not obtain under a tax-exempt status. In discussions with school officials and Tax Assessor Darlene Bane, the overall effect would be a tax dollar win for Louisville and Winston County but a significant loss for LMSD. The paperwork has been filed in a timely manner for Winston Plywood to qualify for Fee in Lieu and is currently in the hands of the MDA. Conversations between the County and MDA indicate that it may be several weeks before the application is approved and a final Fee in Lieu is established to be dispersed among the City, County and LMSD. This delay in approval may result in the County’ s tax roll not completed by the July 5th deadline. 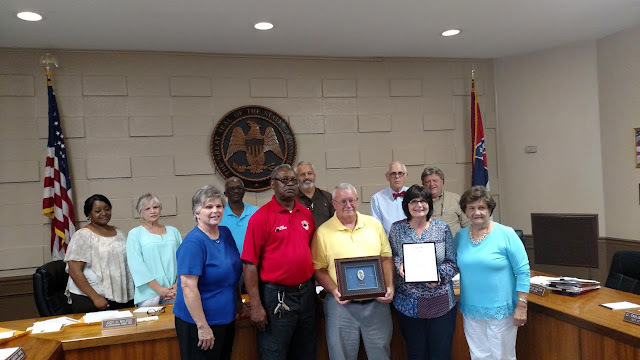 Tax Assessor Darlene Bane informed the Supervisors of the situation on Tuesday and is working with County Attorney Hugh Hathorn on resolutions and options. At worst, the delay could push back some budgeting decisions and the delay of receipt of tax revenues this Fall. 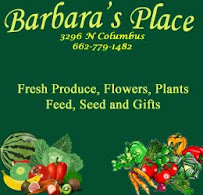 Fresh Produce at Barbara's Place! !